We love little people! We have filled one of our showrooms with unique gifts from around the world. 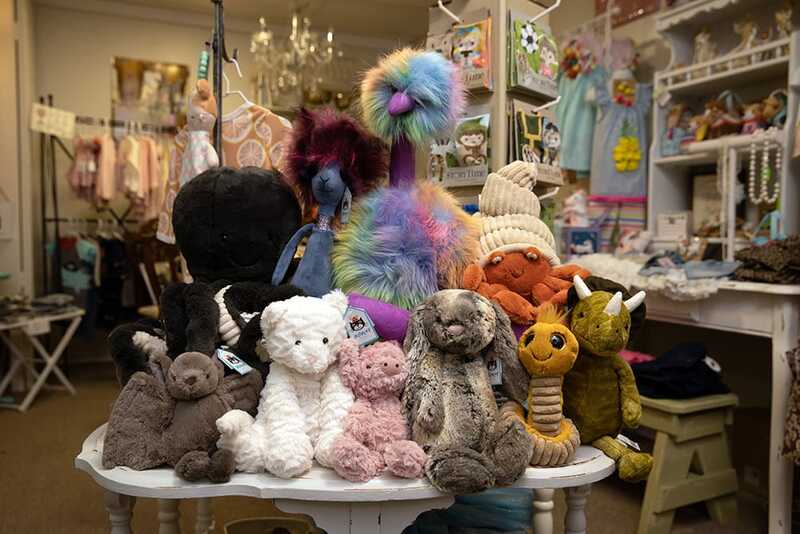 Clothes, toys, gifts and plush including lines from Jellycats, Mud Pie, Floss and Rock, Douglas, ML Kids, Demdaco, Zoocchini, Jack Rabbit Creations, Baby Aspen, and Milkbarn Kids. We carry both organic clothing and Made in the USA. Need a shower gift, birthday present, or an unusual Christmas gift…or a little “happy” ….just stop by to see what’s new!